Opioid addiction has become an epidemic in the United States. More than two million people are currently battling this disorder, and the numbers don’t show any signs of slowing down. In fact, prescriptions for opioids increased fourfold between 1999 and 2014. As a result, this type of medication became widely available and extremely easy to obtain, so it should come as no surprise that the U.S. is facing an opioid crisis at the moment. Many individuals and family members ask themselves how they can diagnose opioid addiction. Diagnosing opioid addiction can involve many factors that rely on close observation of signs, symptoms, behavioral changes, and often different types of behavioral or health-related crises. This guide is intended to be informational. If you are considering help for you or your loved one, please consult a medical professional or licensed treatment facility. Opioids are pain-relieving drugs that include codeine, fentanyl, hydrocodone, hydromorphone, methadone, morphine, and oxycodone. Doctors usually recommend them for treating moderate to severe pain. They also advise precaution when taking them. Because of their highly addictive nature, patients may begin abusing them without even realizing. Understanding what opioids are is vital in order to potentially diagnose opioid addiction or abuse. Opioids reduce the feelings of pain by acting on the limbic system, the brainstem, and the spinal cord. They attach to receptors in the brain, sending signals to block out the pain and induce a calming and relaxing effect. Whether we’re talking about Vicodin or the street drug, heroin, the primary effect is the same. However, it varies in intensity according to how much of the drug you take and how. If you swallow the pills, for example, it will take the substance longer to reach the brain than if you inject it. Opioids usage, much like opioid addiction, varies among subgroups – adults aged 40 years or older are more likely to experience issues and become addicted to the drug than younger users. Some noticeable differences are between men and women, as well. Women are more likely to use prescription opioids and become addicted to them than men. However, keep in mind that addiction affects all genders, ethnicities, and ages when attempting to diagnose opioid addiction. Most people use these terms randomly, but there is a clear distinction between the three. There is no clear definition of addiction in the Diagnostic and Statistical Manual of Mental Disorders. 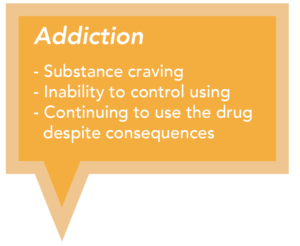 However, most experts agree that substance craving, the inability to control using, as well as continuing to use the drug despite negative consequences are all signs of addiction. Consider the obvious signs when attempting to diagnose opioid addiction. Experts define substance abusers as people that regularly use a drug excessively, making themselves vulnerable to legal problems, putting themselves in danger, risking relationships, and neglecting responsibilities. 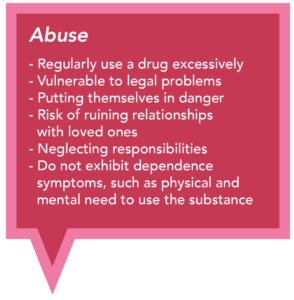 However, people that are substance abusers do not exhibit dependence symptoms, such as a physical and mental need to use the substance. Studies have started to reveal significant gender differences in opioid abuse and addiction, however this may only mildly influence one’s ability to diagnose opioid addiction. While in the past, substance abuse research has been largely focused on men, it has recently been discovered that the differences between men and women are profound. Women face a higher risk of developing opioid addiction largely because they are more likely to experience chronic pain than their male counterparts. While the percentage of men that die from drug overdoses is overall greater than that of women, there is evidence that shows that women are the ones that are more prone to initiate opioid use. That is because doctors usually prescribe opioids to women for longer periods, increasing the probability of them developing an addiction. One of the main reasons people are prescribed opioids is chronic pain, defined as any lasting feeling of pain for more than 12 weeks. Reports show that more than 100 million people in the United States suffer from chronic pain, with women being twice more likely to suffer from it than men. One of the main reasons for this discrepancy is female-specific surgeries. Oxycodone prescribed after a female patient has gone through a C-section, or benzodiazepines prescribed for menopausal symptoms are just two examples of how particular female health issues make them more likely to be exposed to addiction risks. But, because legislation in the past few years began limiting opioid prescription, women are now resorting to heroin to alleviate their pains and cravings. If you have sufficiently been able to diagnose opioid addiction, consider mental state of your loved one. Drug addiction is a mental illness, so anything that falls under the substance abuse category is going to have some effects on a person’s mental health, as well. Opioids, like all drugs, affect the brain in fundamental ways. Drug abuse or repeated use of the substance will have harmful consequences. 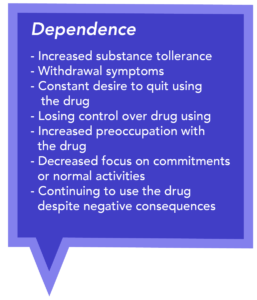 However, these conditions do not include compulsive tendencies, tolerance (requiring higher doses to get the initial effect), and withdrawal (the symptoms users experience when they stop using the drug), which are signs of addiction. When a person becomes addicted, the hierarchy of their needs and desires turns upside down, as they develop new priorities. Controlling their impulses becomes more difficult and procuring and using the drug becomes the most important task, with serious behavior alterations. In the case of opiate addiction, many times patients become dependent because the drugs help them escape particular difficult situations they’re dealing with in their life. People may even start using them as a doctor prescribed treatment, but can quickly start using them more often than necessary for their effects. They feel better when they take prescription drugs that contain opiates so soon enough they are using them recreationally. If the patient is already suffering from mental health illnesses, such as depression, the temptation to use opiates to feel better is even bigger. However, opiate addiction is very likely to influence and affect mental health conditions such as schizophrenia, anxiety, depression, ADHD, bipolar disorder, alcoholism, or post-traumatic stress disorder. The relationship between opiate addiction and mental health issues goes both ways, and in return, any of the above-mentioned mental issues can affect a person’s opioid addiction. The connection between mental illnesses and the use of addictive substances is not a new concept. A dual diagnosis occurs when a patient has both a substance abuse issue and a mental health one, and it’s vital that doctors treat them together. If, for example, rehabilitation centers ignore the mental health disorder symptoms, it can affect the ability of a patient to become clean and sober. Vice versa, substance abuse issues that are left untreated can completely cancel out a mental health treatment. Numerous visits to various doctors’ offices for pill prescriptions, long-term use of opioids, weak performance at work or school, reduced participation in activities that were once enjoyed by the user, ignoring obligations and responsibilities, using opioid substances in dangerous situations such as when driving. Thought slow-down and physical movement reduction, insomnia and sleep issues, mental tension, anxiety, emotional distress, restlessness, drowsiness, pupillary constriction. Suicidal tendencies, impaired judgment, continuous cravings for opioids, memory impairment, attention and focus issues. Depression, anxiety, withdrawing from family and friends, feelings of euphoria, experiencing decreased interest in activities the patient once used to enjoy. As mentioned before, rehab centers must adapt their treatment plan to the patient’s unique needs and by considering their history of drug abuse as well as their mental and physical health. If you or a professional has attempted to diagnose opioid addiction in you or your loved one, it may be time to consider your treatment options. 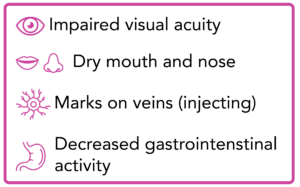 Treatments can take different form, can last for different periods, and can take place in a multitude of settings. Medical care that takes place over a longer period, however, has been shown to be connected to better outcomes for the recovering addicts. That is because the less time a patient spends in treatment, the less effective that treatment will be. Outpatient services – Provides a treatment plan the patient can follow while living at his home, without isolating themselves from their daily lives. Residential facilities – Provides temporary housing where patients can get the medical care they need from a group of professionals, as well as therapy sessions in a supportive, focused environment. Inpatient hospital setting – Provides around the clock, overnight care for the patient, making sure she is under strict, intensive observation at all times. Opioid addiction is not a sign of weakness; it’s a serious medical condition based on changes the brain suffers due to prolonged use of the drug. Breaking free of addiction is a difficult, long-term process that requires patience, focus and a lot of support both from medical professionals and loved ones. Willpower is not enough to become clean and sober. Nowadays, with the available medication and professional counseling, the chances of succeeding are vastly improved. Thousands of people are helped by traditional therapies (12-step programs) or newer drugs (buprenorphine or naltrexone) to stay focused on their recovery journey. The variety and intensity of the withdrawal symptoms vary from individual to individual, depending on how long they have used the drug, any combination of drugs, and other factors. The withdrawal process can be very difficult to endure and can last anywhere from a few hours to a few days or even weeks. Keep in mind that a feeling of physical and mental discomfort may persevere for a few weeks even after these symptoms have worn off. 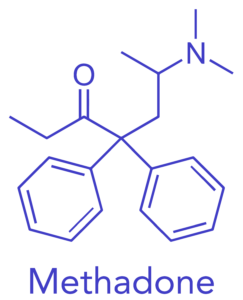 Methadone – Methadone works almost like a narcotic, activating the opioid receptor while eliminating the withdrawal symptoms. If the administered drug dose is correct, it can ease drug cravings without providing the euphoria of the abused substance. After that, the drug will slowly be tapered off, avoiding any physical dependence that might occur in the patient. Subutex (buprenorphine) or Suboxone (buprenorphine and naloxone) – Buprenorphine is a new drug that is used for drug cravings. It prevents withdrawal by activating the opioid receptors. Doctors use Subutex for acute opiate detox and Suboxone for both acute opiate detox and maintenance prevention or opiate relapse. 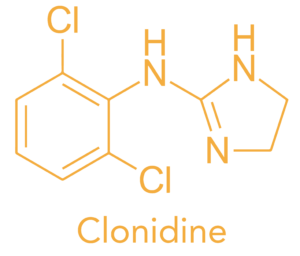 Clonidine – Clonidine is a medication used for treating high blood pressure, attention deficit hyperactivity disorder, anxiety disorders, and a few pain conditions. In the withdrawal process, this medication can limit the acute stress response a patient has after stopping the use of the drug. Unfortunately, clonidine is not very efficient when used alone. Rapid detox programs – Medical professionals are still unsure whether rapid detox programs are truly safe. This approach supposes that doctors will force the detoxification process and accelerate it by giving patients a large dose of opioid-blocking drugs in a short period. After completing the detoxification process, the patient is freed of the physical effects of substance addiction and withdrawal. However, it is not enough for the patient to remain sober. The main triggers of relapses are stress and social situations or social factors that make the person recall the high they experienced while on the drug. The moment drug cravings start creeping back in, resisting can be extremely difficult. People that only undergo the detoxification treatment without ongoing therapy are much more likely to fail to resist and relapse again and again. Patients that also include maintenance therapy in their treatment have a bigger chance of being successful on the road to recovery. During this step of the rehabilitation process, medical specialists usually use methadone or buprenorphine paired with naloxone to keep cravings under control. 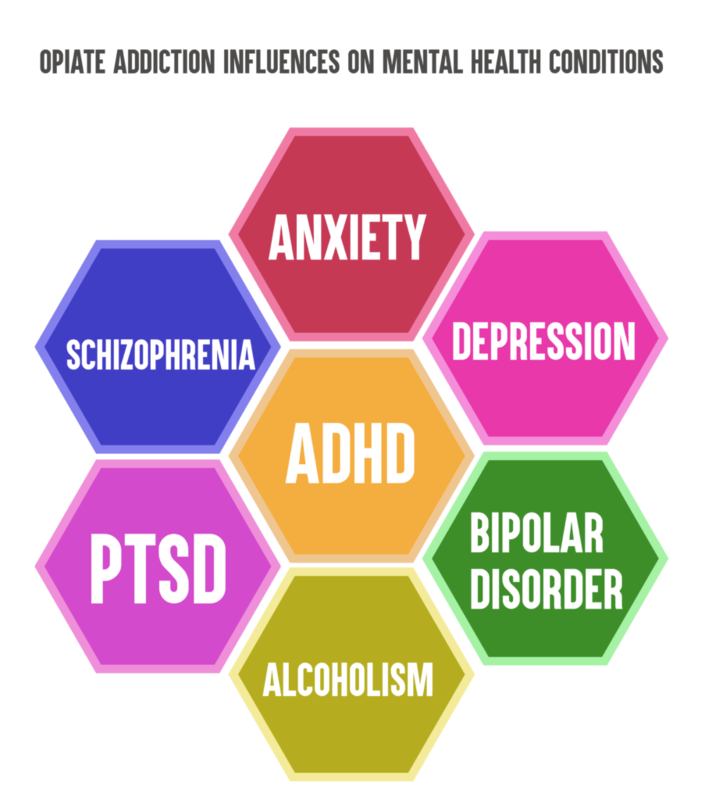 Patients are still dependent on the substance, but they can get back to their daily lives, go to work or school, and function normally, without their previous destructive behaviors. Patients that have a high relapse rate can remain on the medicines either indefinitely or for a long period until their doctor decides they can resist cravings without it. Doctors prescribe naloxone and oxycontin to prevent users from taking their drug of choice. Other medication, such as Probuphine can prevent relapse for patients that have already finished detoxification, providing a small, constant dose over a period of six months. 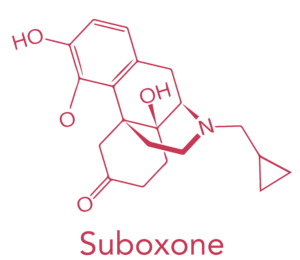 Methadone is the most studied and the most effective solutions, so far, with Suboxone being also widely accepted as efficient maintenance therapy. Most professionals will also recommend a type of counseling, whether it’s Narcotics Anonymous (NA), an abstinence program, Methadone Anonymous, or other 12-step programs and forms of therapy that can take place both in a rehab facility or an outpatient center. Numerous treatment and support options are available everywhere nowadays and can help those struggling with opioid addiction to break free from their dependency. However, any treatment plan an individual undergoes must be tailored to their unique needs and history, as no two patients will be the same and will respond in the same manner to the same treatment. Making sure that they’re informed and educated about the issue they are dealing with is one of the best ways of taking control of their problem.